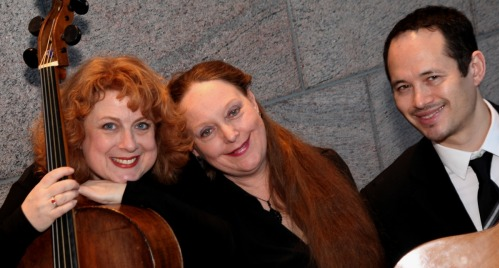 In the spring of 2013, three accomplished artists with varied backgrounds and a broad love of many musical styles united to form Dragon’s Tea Trio. This new ensemble removes all barriers to genre, irreverently pairing Paul Simon with Bach, Renaissance bawdy songs with Brazilian sambas, or the best of musical theatre with the best folk-song writing. Our name reflects what we experience when we play together. Although we have not yet sat down with a dragon to drink tea, we know what we would expect to find in the cup: something warm, unexpected, sweet, and a little wild. Rachel & Andrew appear at about 19:53. Episode features host Ryan Saxby-Hill, guest host Jeff Leiper, and fellow guests Bob LeDrew and John Thompson. Canadian guitarist Andrew Mah is a unique and exciting musician, widely regarded for his virtuosity, versatility, and heartfelt musicality. 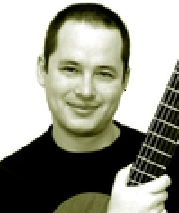 Born in Ottawa into a family of guitarists, he has performed professionally on classical guitar for more than 20 years, carving out a uniquely eclectic international career as a solo concert artist, chamber musician, teacher, arranger, producer, and adjudicator. This year will see him embarking on a long-term project to record his arrangements of J.S. Bach's entire catalog of solo music for lute, violin, and cello. Andrew writes most of Dragon’s Tea’s original arrangements. 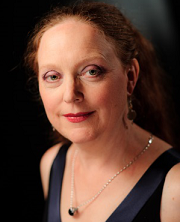 As a classical singer, Rachel Eugster trained as an undergraduate with mezzo-soprano Mary Burgess at Marlboro College, and as a graduate at Peabody Conservatory with tenor Wayne Conner (best known as the host of NPR’s "The Singer's World"). 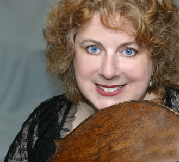 Like a Dragon’s Tea concert program, Rachel's life blends disparate passions and pursuits. She has performed north and south of the border as a singer and an actor, and was last seen in Ottawa as Luciana in Bear & Co’s touring production of The Comedy of Errors. Last August, Tundra Books released her children's picture book The Pocket Mommy. Next February, she will appear at the Gladstone Theatre as Alice in another Bear production: Linda Griffiths's Age of Arousal.